Jeremy Andersen, Cameron Cate, Brandon Norton, David Randall, Joseph R. Vanstrom and Jacek A. Koziel. 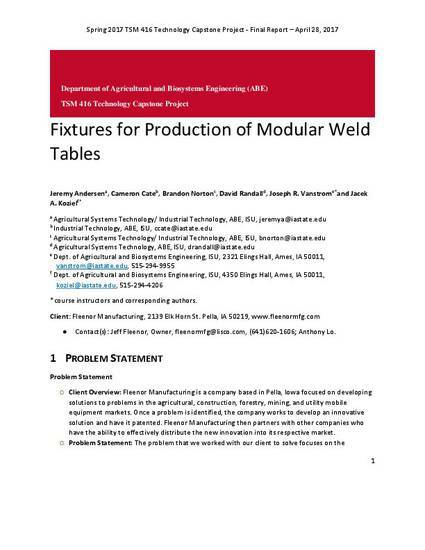 Fixtures for Production of Modular Weld Tables. Final Report. TSM 416 Technology Capstone Project, April 28, 2017.